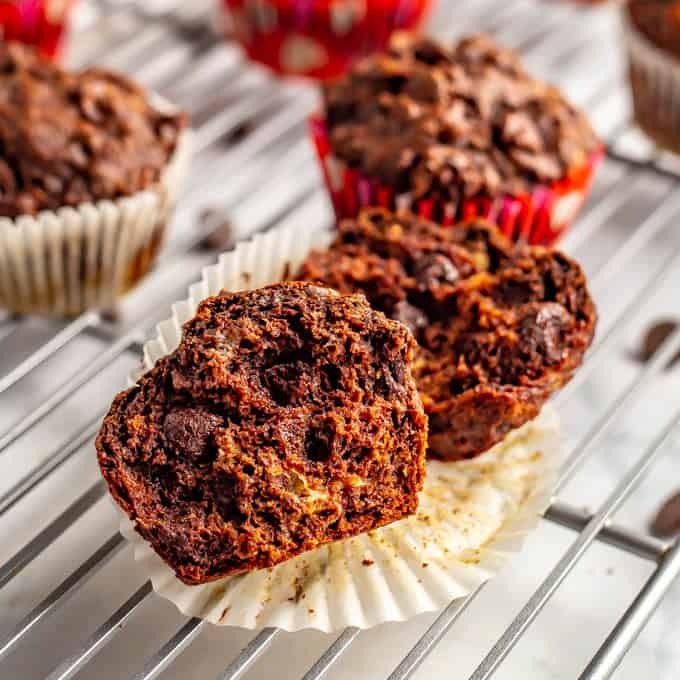 Double chocolate banana muffins are moist, full of melty chocolate chips and perfect for snacking! They’re also whole wheat and naturally sweetened, with no added sugar. And this week, we are looking forward to Valentine’s Day, the end of the kids’ basketball seasons and some fun extended family birthdays to celebrate! So of course, to celebrate, I had to bring you a chocolate goodie! And I think you are going to LOVE it! I have to say though, I’ve made several variations of these double chocolate banana muffins. 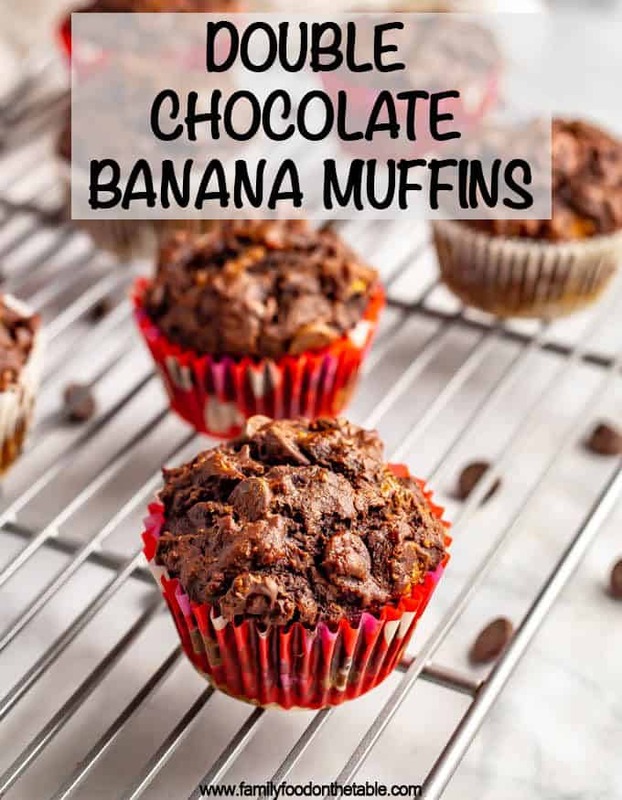 I adore banana and chocolate together and these muffins just seemed like such a fun treat! Plus, it’s double the chocolate with the cocoa powder AND chocolate chips. But it took a few tries to get them just right. I wanted them to be CRAZY delicious, not just good. 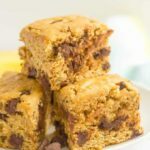 They are great for an afternoon snack or late-night chocolate fix. But they also work for a school lunch treat – or shoot, even a breakfast treat! Plus, I’ve created a slightly healthier version of these muffins because they are whole wheat and naturally sweetened, with no added sugar! 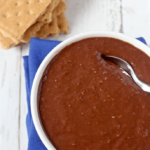 So go make a batch and have these on hand for all your chocolate snacking needs! You need two very large bananas or 3 medium bananas. You want your bananas to be extra ripe for this recipe. If yours aren’t quite ripe enough, consider adding some extra honey, or a couple tablespoons of sugar, to increase the sweetness here. 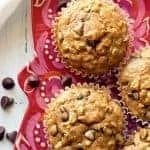 I make 12 big muffins from this recipe. 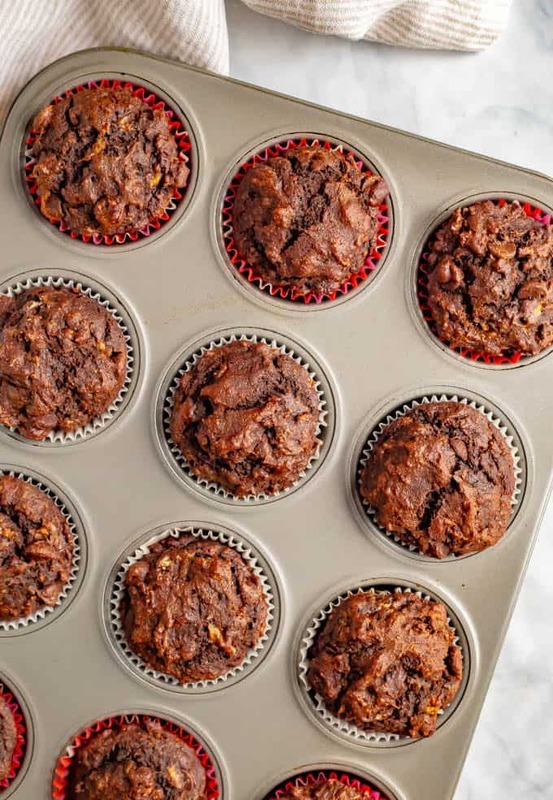 You could probably get 14 muffins out of these if you want to use a second pan. Also, as with all of my healthy muffin recipes, I think it helps to use liners AND to spray them with a nonstick cooking spray. It ensures all your glorious chocolate muffin deliciousness will stay together, and not get stuck to the pan or to the liner. 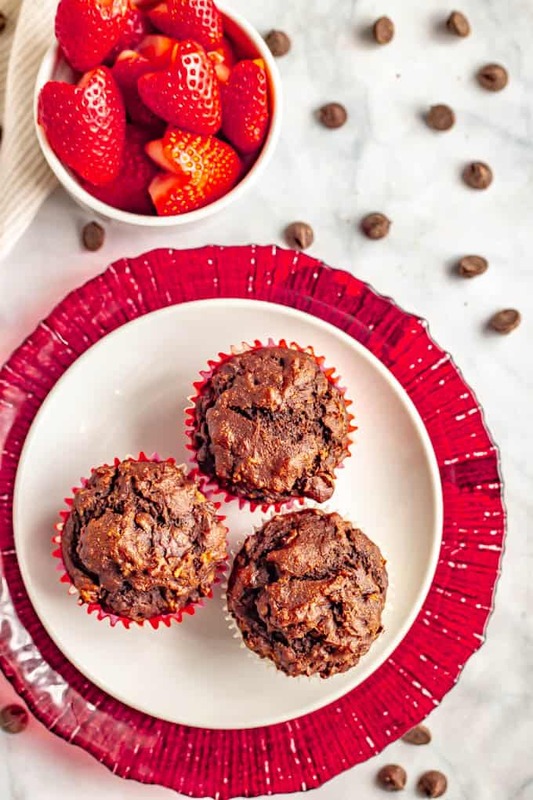 Want to make a vegan chocolate banana muffin? Totally do-able. – Substitute a flax egg for the egg and use oil or coconut oil in place of the butter. – Substitute agave or maple syrup for the honey. – Use your favorite non-dairy milk, such as soy milk or almond milk. 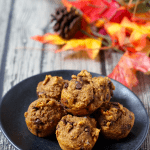 – You can store these muffins at room temperature, in a bag or container, for 1-2 days. – The muffins will keep in the fridge for another 3 days at least. 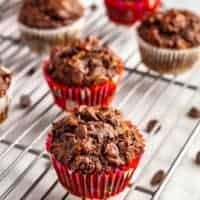 – Or, you can freeze these chocolate muffins for up to 6 months. I wrap each muffin in a strip of aluminum foil and then place them in a freezer-safe ziptop bag (that’s labeled and dated). Then you can defrost them overnight in the fridge or just pop it into the microwave (once the foil is removed) and warm it for 30 seconds or so. I hope you love these, whether for a healthy Valentine’s Day treat or just anytime you get a little chocolate craving. Double chocolate banana muffins are moist, full of melty chocolate chips and perfect for snacking! Preheat the oven to 350. 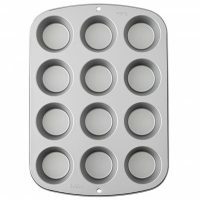 Line a muffin tin with muffin liners and spray with cooking spray. Mash the bananas in a medium bowl until completely mushy. Add the honey, butter, milk, egg and vanilla and stir until well combined. Make a feel in the center and then add the dry ingredients: flour, cocoa powder, baking soda and salt. Mix until just combined. 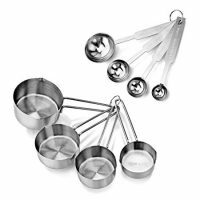 Spoon the batter into the muffin tins, filling each cup almost all the way to get 12 very full muffins. Remove from the muffin tin and let cool completely before storing. You need two very large bananas or 3 medium bananas. And you want your bananas to be extra ripe for this recipe. If yours aren’t quite ripe enough, consider adding some extra honey, or a couple tablespoons of sugar, to increase the sweetness. These bananas will keep at room temperature for 1-2 days. After that, they are best stored in the fridge (for another 3-4 days) or frozen for up to 6 months. 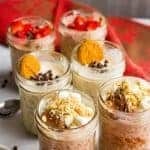 Wow – what a yummy healthy treat! I love that you used natural sweeteners in these muffins. I could eat these for breakfast all week! 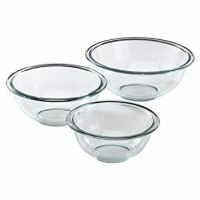 I absolutely love one-bowl recipes! Thanks for this delicious chocolatey one! Less clean-up, more chocolate – total win!! The bananas make them so soft and moist, perfect! I made them with coconut oil as you suggest in the recipe and they were so good.